Our full decorating service for domestic and commercial properties is carried out by experienced professionals with more than 8 years’ experience in interior decorating. Painting, wallpapering, tiling, and plastering. Whether you need one wall or a whole building, we do it all to the highest standard. We love a good lick of paint. And we think a fresh coat on an old wall does wonders. Window ledges, skirting, and doors always look good after a bit of decorating too. That’s why we genuinely enjoy all of our painting jobs and take pride in how they look. Once we know your colour scheme, we aim to be in and out as fast as possible with minimal disruption. But we don’t skimp on the attention to detail. From the very first stages of cleaning the walls and taping the woodwork, right up until we take the tape off again, we focus on making the finished paint job look the best it possibly can. We don’t accept patchy work, rogue brush strokes, or unclean lines. And if you’re not happy with the work we’ve done we’ll make it right. Get in touch and we’ll book you in. Focus Furnishing operates across sectors so we’ve delivered plastering in a range of environments. This has given us the opportunity to develop expertise in different kinds of plastering for different sorts of property. We use this expertise to deliver a plastering service with care and craftsmanship. Some of our services include traditional plastering, ames taping, and dry lining. Plastering can be a big job, so we work with you from the very beginning to make sure you’re happy with our work. 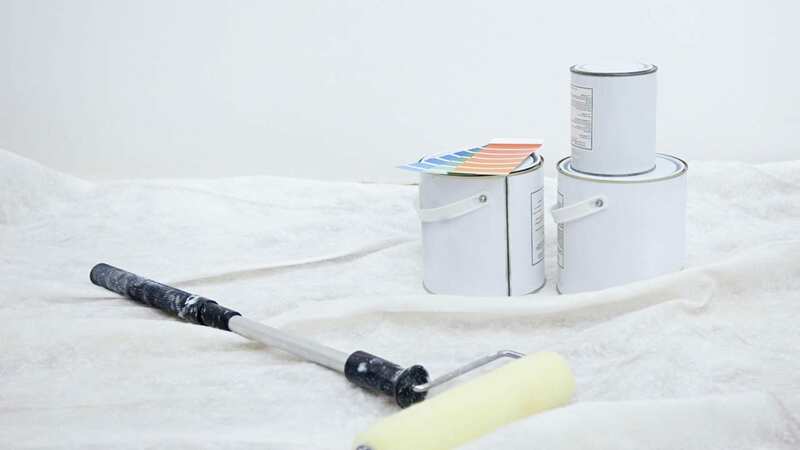 As with all our decorating services, we focus on delivering an efficient service without compromising on quality. Contact us to learn more about our reliable plastering service. Wallpapering might seem tricky to you but for us it’s an art form. When it comes to decorating there isn’t much that’s more satisfying than a perfectly papered wall. And you’d be surprised at how much it can change the appearance of an otherwise featureless room. Because we work across domestic and commercial properties, we’ve become experts at applying all sorts of wall coverings and wallpaper. From traditional fabric and paper-backed vinyls to pulp and silk paper. We've got experience with it all. With a set process we guarantee the perfect finish every time. If you think your property could do with a paper, let us know. We’d be happy to help. Proper tiling is essential in rooms that see a lot of water, like kitchens and bathrooms. If your tiling isn’t done properly you run the risk of exposing your walls and floors to damp. This massively increases the risk of mould and rot and can be a huge expense and hassle in the long run. By following a strict process, we aim to deliver a high quality job that will last for years in some of the most-used rooms in the house. It’s a sad fact that things don’t stay looking brand new. After years of use paint fades, carpets wear out, and eventually wallpaper needs to be replaced. But a massive overhaul isn’t always needed. Sometimes a simple freshen up is all it takes to get a property looking great again. Our freshen up service does exactly that: freshens up your property. We’ll assess your property and suggest minor refurbishments to make the most difference at the lowest cost. Normally, this means giving the walls and ceilings one coat of paint. The difference this makes still shocks us every time. This service is perfect between tenancies, when a property is looking a bit tired and grubby but the estate agent needs to take some pictures. Get in touch with us and we’ll aim to service your property before the estate agent comes round with their camera.